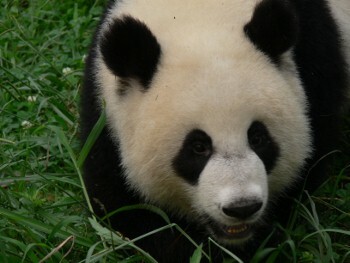 Following Hong Kong, we stayed two nights in the Li River area, the first at Guilin and the second at Yangshuo. The area has long been famous for its dramatic karst topography of jagged peaks, sheer cliffs, and complex limestone caverns. We spent much of the time taking in the scenery from the water, in two different boat trips, but also underground and from atop a mountain. It was here that we really began to appreciate the scale and size of the country, particularly the population. 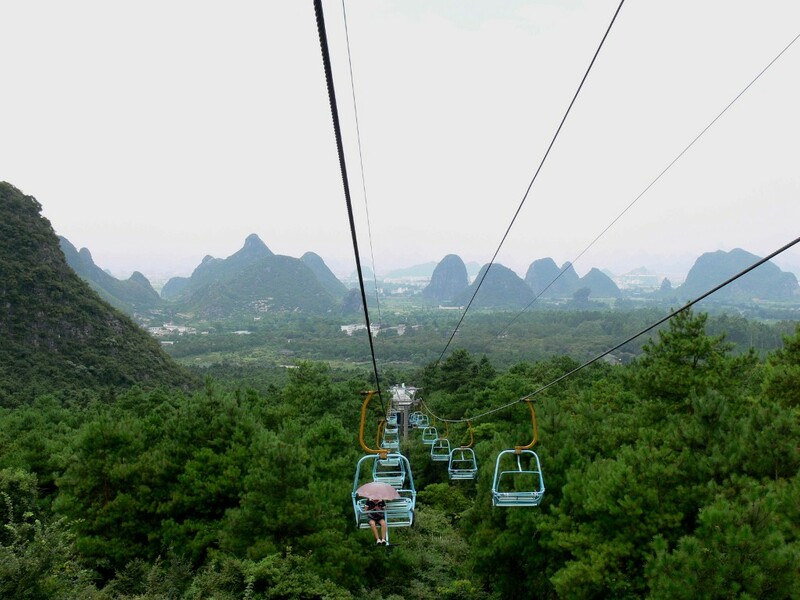 We were expecting Guilin to be a small city of perhaps a few thousand residents, and Yangshou to be a village of a few hundred. 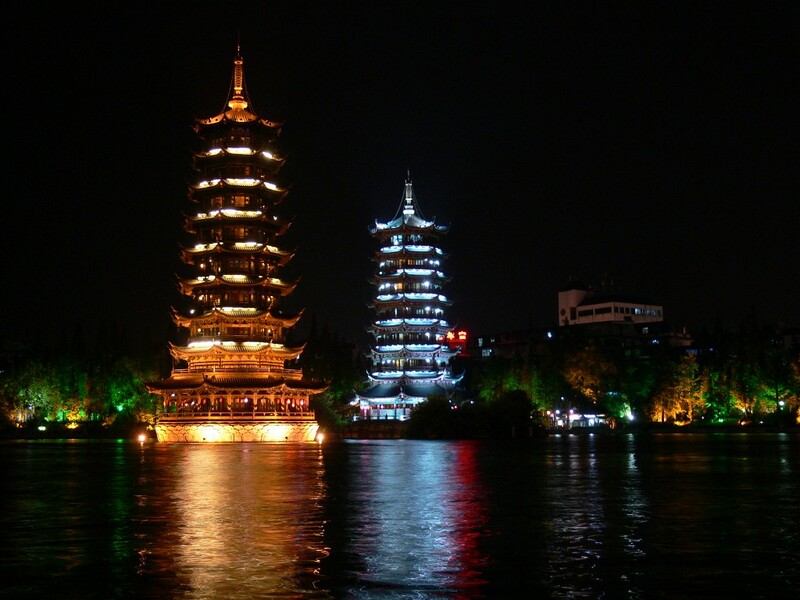 Although Guilin is a small center by China standards, it had a population of more than a million. 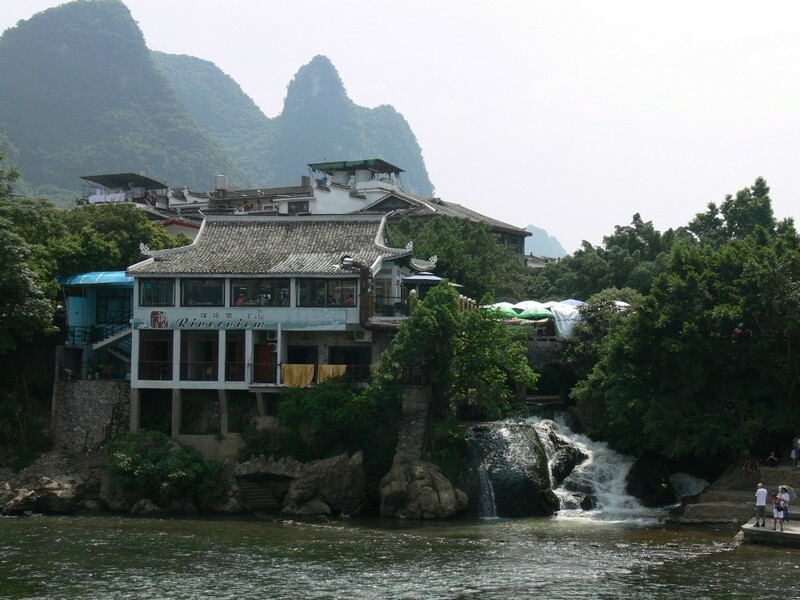 And the "village" of Yangshuo has several hundred thousand residents. Whenever the choice was bus, taxi or train, we always chose train. 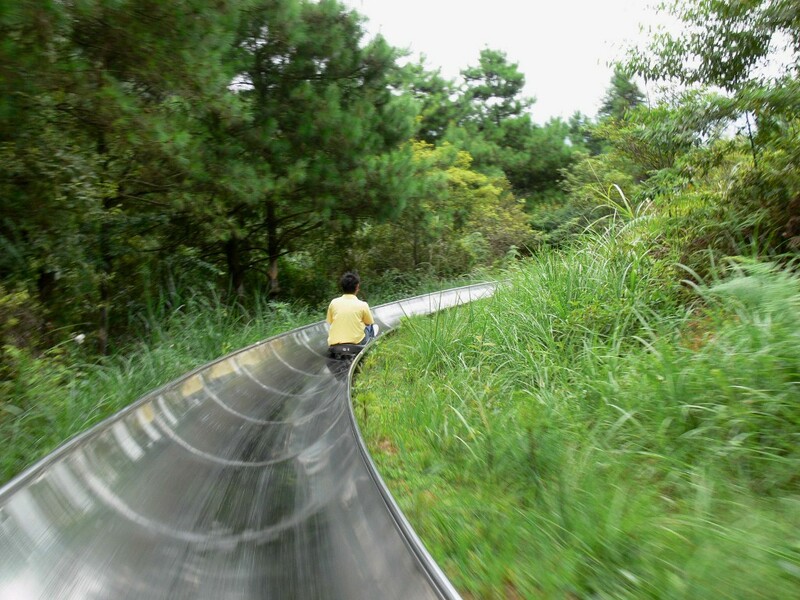 Trains often are more cost-effective, faster, and provide a better view of the countryside. 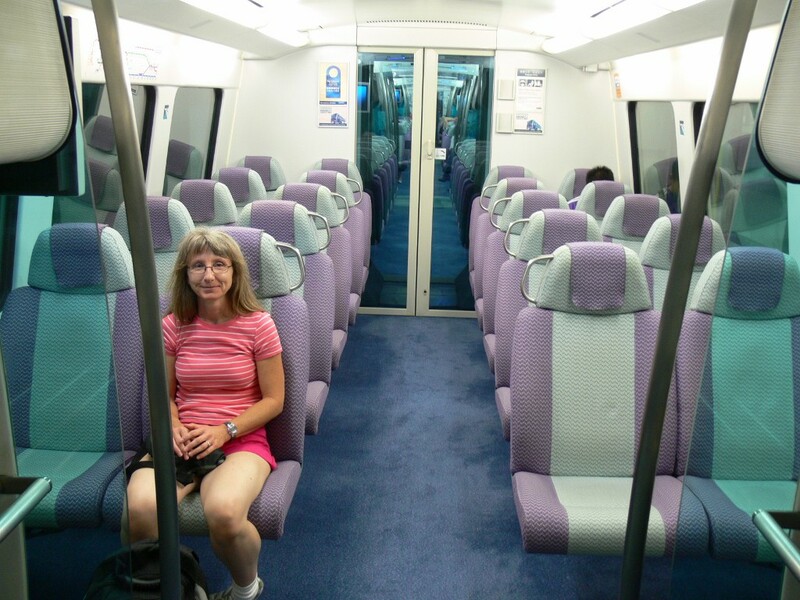 We took the Airport Express from Kowloon to the Hong Kong airport. Check-in was easy, and the train was sparkling clean, modern and efficient. We arrived at the gate near boarding time, and were the last to get on a very packed shuttle that would take us to the plane. Everyone seemed happy and friendly. 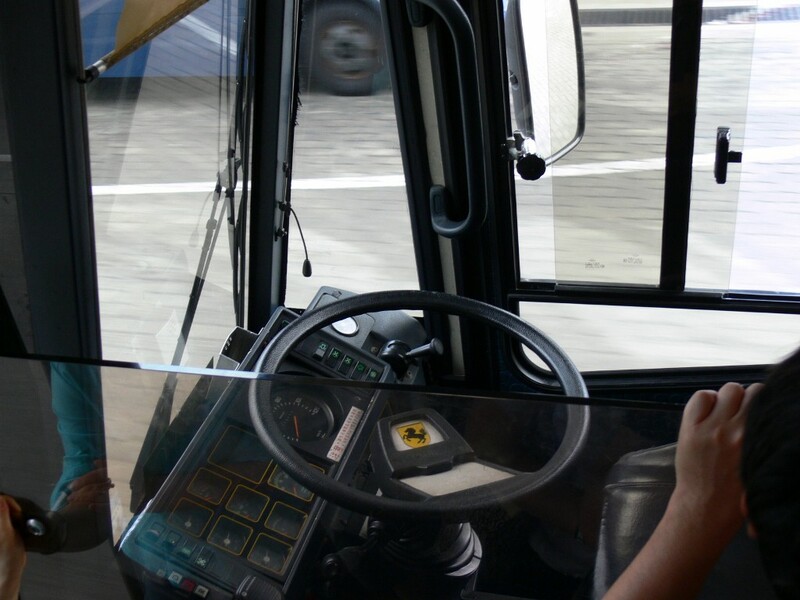 The bus had an prancing horse symbol on the steering wheel, but we're pretty sure it wasn't a Ferrari. Our guide, Sue, met us at the airport in Guilin with a car and driver. This is the clean and comfortable van that we would travel in during our stay in the area. You must have a Chinese drivers license to drive in China. 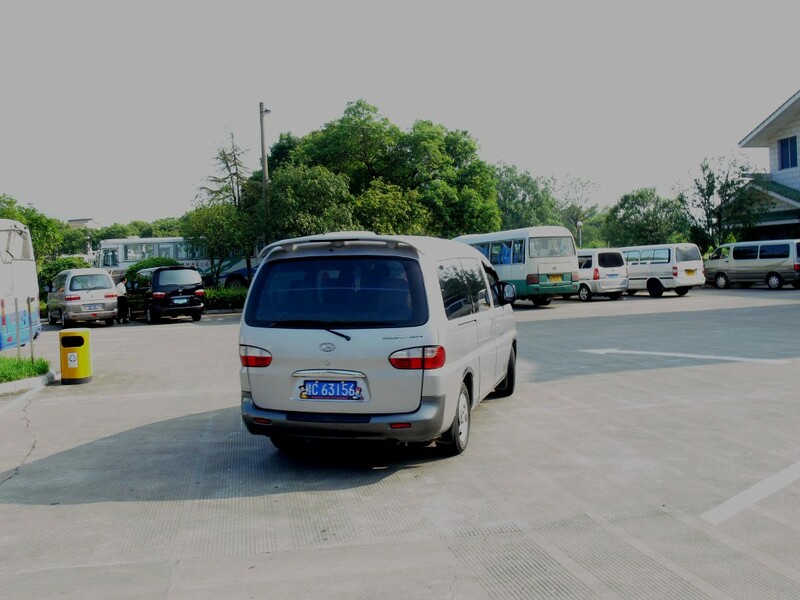 Car rentals are available, but they come with a driver if you don't have a Chinese license. Apparently it is against the law for drivers to be guides, and the drivers typically do not speak English. So if you can't speak Mandarin, you generally need a guide as well. 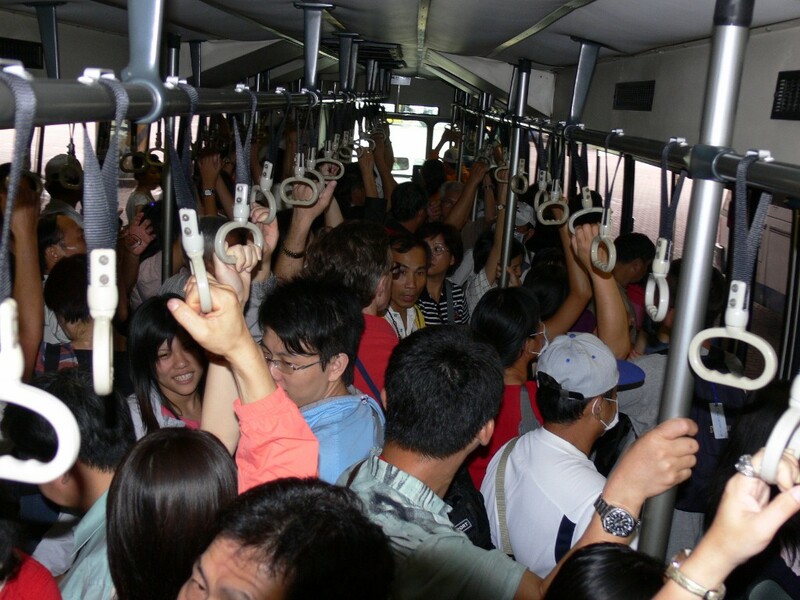 Driving is aggressive, congested, and haphazard in China. Lanes seem to be taken as hints. Oncoming cars, while passing another on the highway, often ducked out of our lane at the last second, barely avoiding a collision. We'd taken an early evening flight. After checking into our hotel, we went on a river boat ride through the city lakes, part of a large park in downtown Guilin. We embarked at dusk, and as night fell, the various buildings and bridges en route came aglow with light. These two towers are called Sun and Moon because one is lit up in gold and the other in silver. 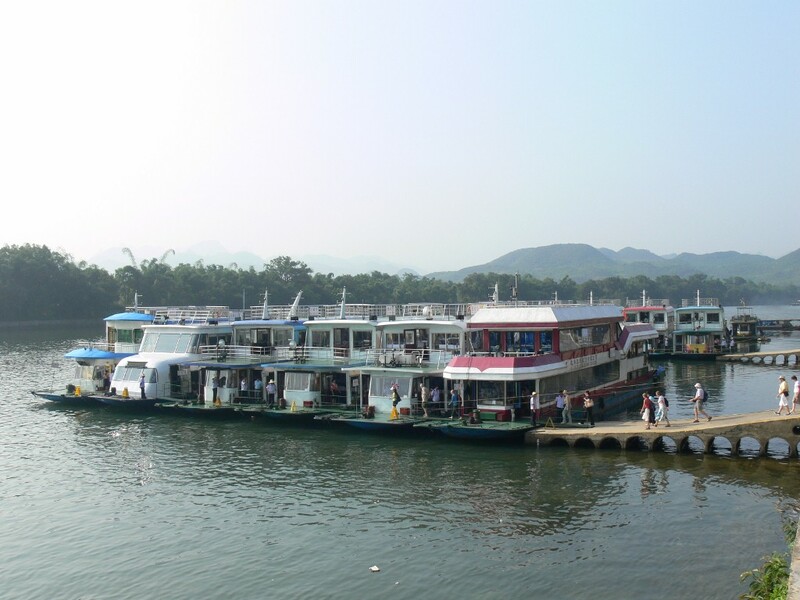 The lake tour was one of several excellent area attractions that Dave Bruels at Interlake China Tours recommended, but that weren't mentioned in any of the guidebooks we'd consulted before the trip. 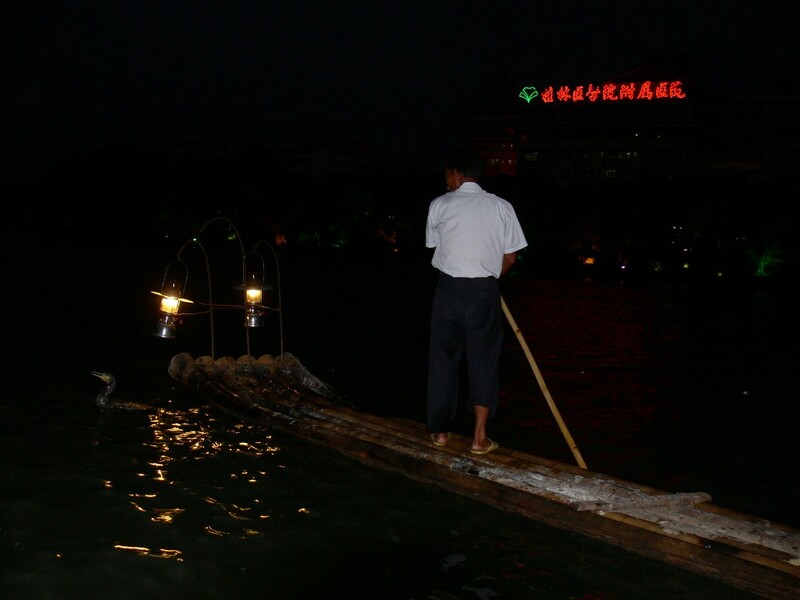 Cormorant fishers came alongside the boat in bamboo rafts to demonstrate their craft. They fish using trained cormorants. Loops around the bird's necks prevent them from swallowing their catch, so the fisher can retrieve the fish instead. After the lake tour, Sue helped us order dinner from a local restaurant--nobody spoke English and the menu was only in Mandarin. Then we were on our own for dinner and the rest of the evening. 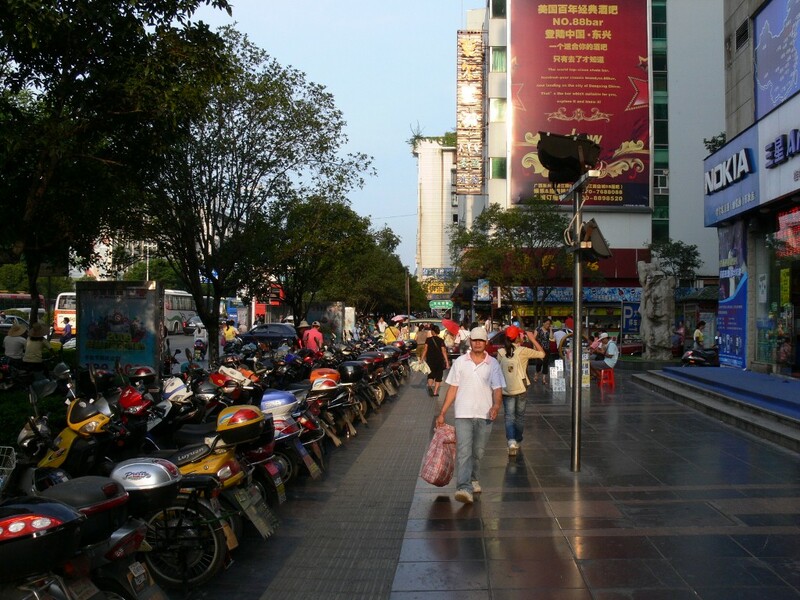 After dinner, we walked around Guilin's vibrant pedestrian mall. As in every Chinese city we visited, the place really comes alive at night. Diners filled the patios of busy restaurants and bars, the stores all were open late, and people of all ages strolled the boulevard. 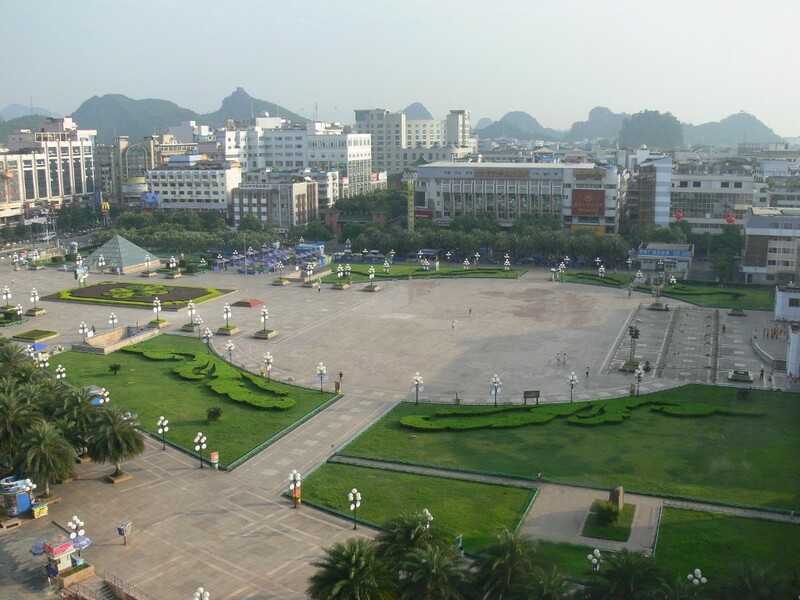 This is the view of Guilin's main square, and the mountains beyond, from our hotel room the next morning. 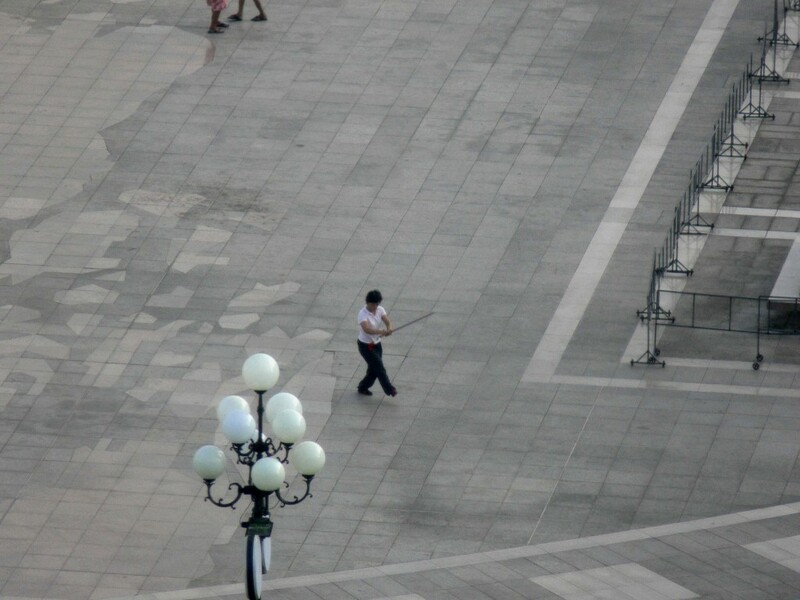 Groups of people were exercising and one was practicing with a sword. 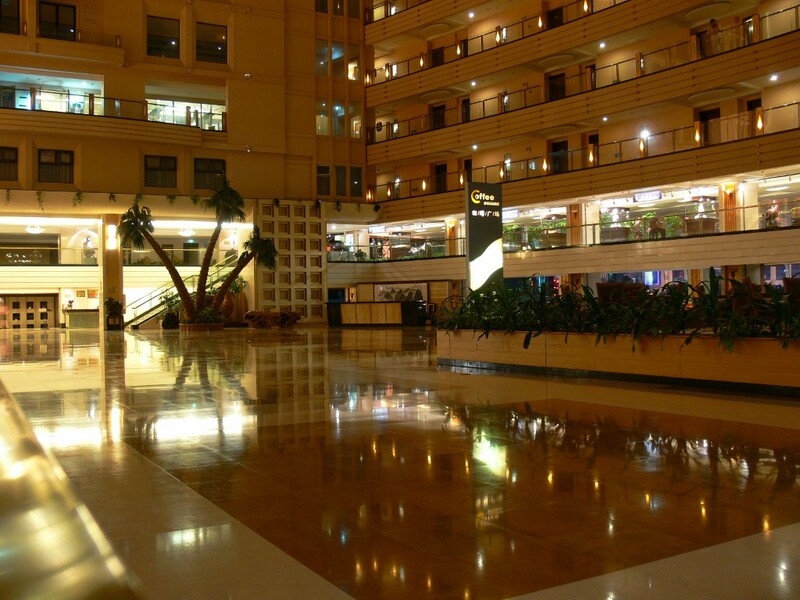 The hotel was rather elegant--the rooms were set around a large atrium with a polished floor that reflected the lights from above. 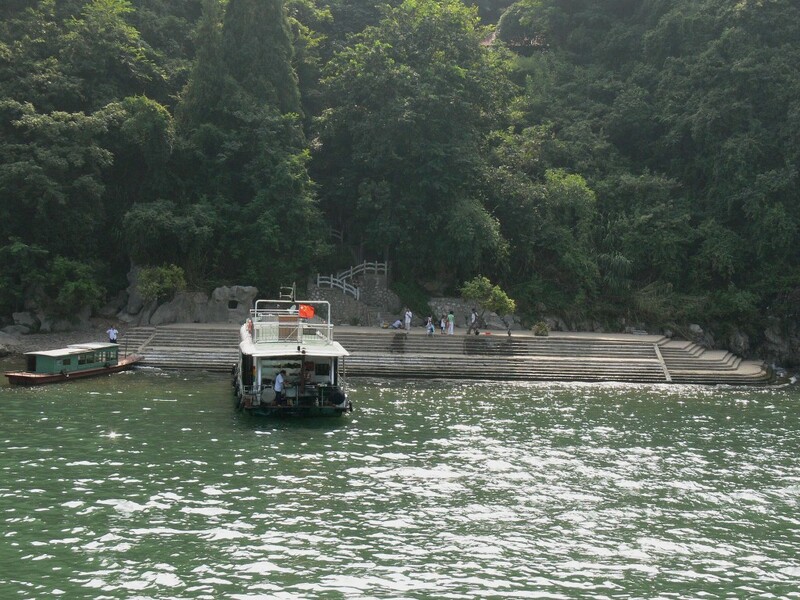 The docks for the Li River cruise were about a half-hour's drive from our hotel. 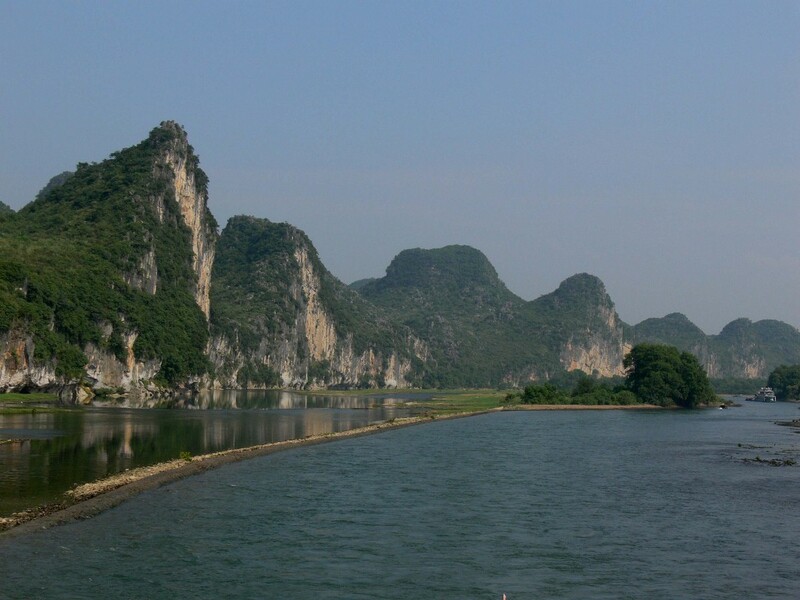 We would cruise downriver to Yangshou for about 5 hours, including lunch on board and a stop at one of the major caves. 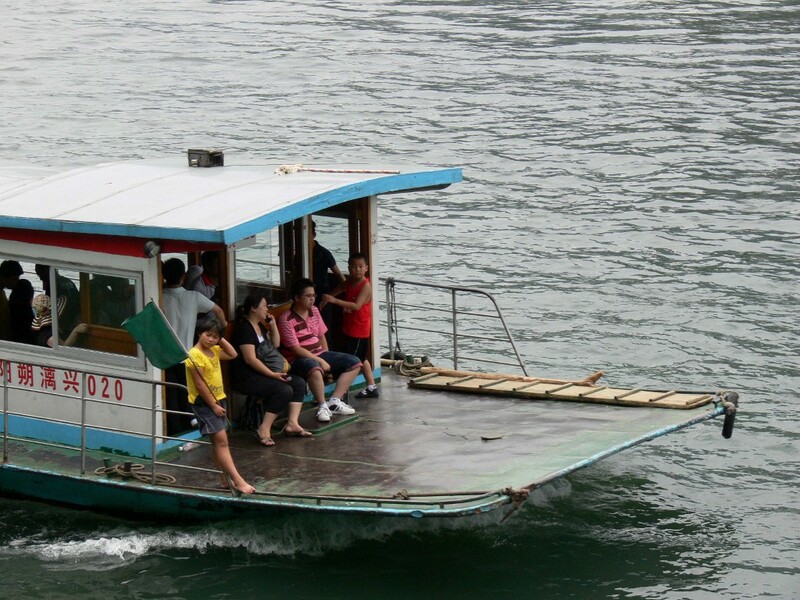 The river tour is immensely popular. This is only a small fraction of the tourist boats that ply the river. The larger tour boats all had kitchens in the back where meals were prepared. 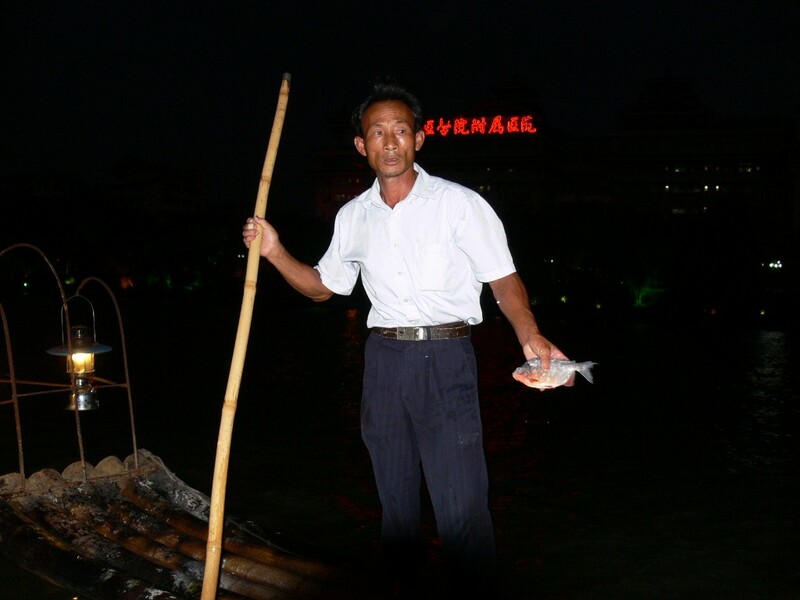 As the boats left the dock, sampans carrying fresh produce and meat approached the cruise boats. 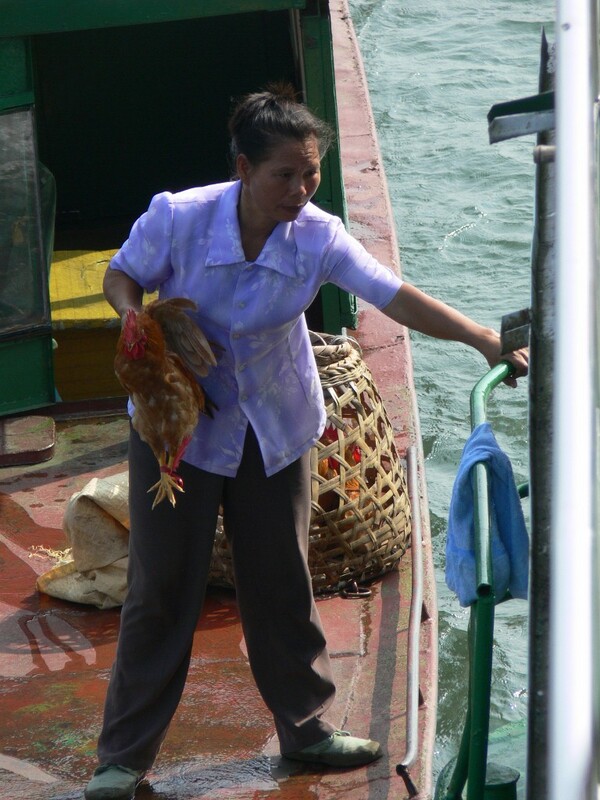 This live chicken passed over to our boat presumably became part of the delicious lunch we enjoyed later that day. 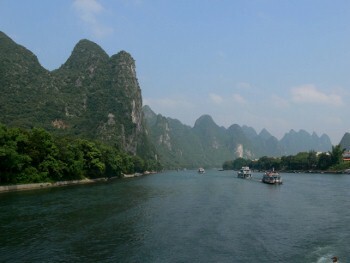 The scenery along the Li River truly is remarkable--we really enjoyed the cruise. Even though the weather was blistering hot and humid, we spent most of the trip enjoying the views from the rooftop deck, rather than in the air-conditioned cabin below with the other travellers. Sue probably thought we were a little nuts to do so, but we decided we'd just pile on the sunscreen, wear hats, ignore the heat, and have a shower later each day rather than in the morning. Boating seems as aggressive as driving. The crowded waterway is fairly shallow and narrow in points, and the "give way" vessel seemed nowhere in evidence. For collision avoidance, boats use flags to indicate their intention. This boat is showing a green flag to indicate that they will pass another vessel on their starboard side. You can imagine this system evolved after numerous accidents and near misses. Partway along, we stopped at Crown Cave. 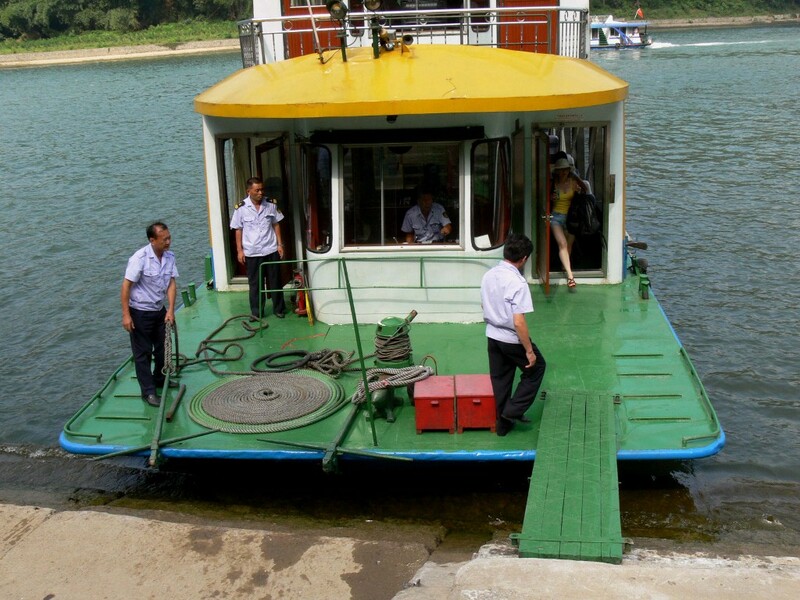 To disembark their passengers, the tour boats just push up against a staircase, drop a ramp, and everyone walks off. It's very efficient. Crown Cave extends for roughly 7.5 miles, although only about 2 miles are open to the public. Complex and massive stalactites and stalagmites extended from the floor and ceiling of huge caverns. The formations looked so fantastic it was difficult to imagine they were natural. Colored floodlights completed the effect. We arrived at Yangshuo in the early afternoon. (The dock is barely visible at the bottom right of this photo). Our hotel was about a 15-minute walk through town, giving us a chance to see the main tourist drag and much of the town. 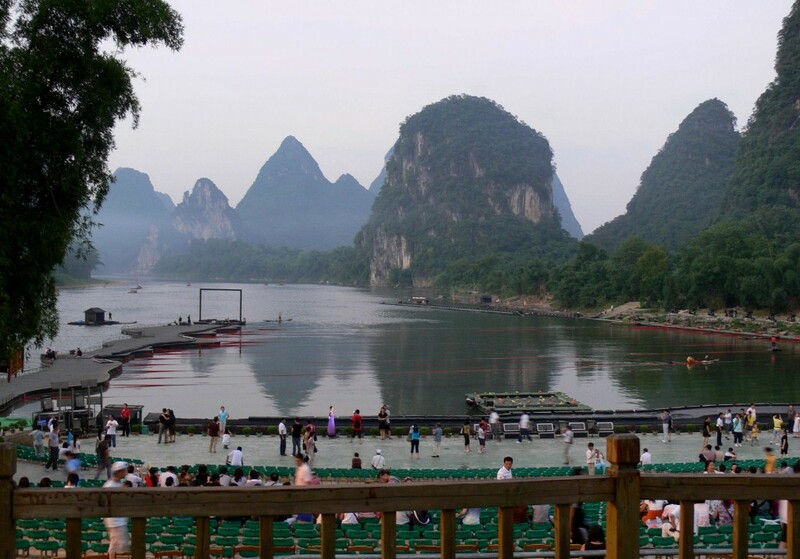 Yangshuo is much smaller and more traditional-looking than Guilin, with a slower pace. But not totally traditional--KFC was there. We had a great meal in a local restaurant and then went to night river show. We arrived near dusk, and the show started after dark. This was another suggestion Dave Bruels made and it was amazing. The choreographer, Zhang Jigang , also did the choreography for the opening ceremony at the Beijing Olympic games. He used the river and the surrounding mountains to great effect, with a movable stage, creative costumes, and a cast of hundreds from the town. We didn't take any pictures during the show, but a couple of excellent photos are at the bottom of this page. This is the view from our hotel balcony the next morning. After breakfast, we lazed on the deck, drank coffee and enjoyed the view. A hot-air balloon drifted by, and water buffalo swam in the river. The hotel rooms in China all had kettles and most had tea, but coffee was less common. We brought piles of Starbuck's Via to get our morning coffee fix. 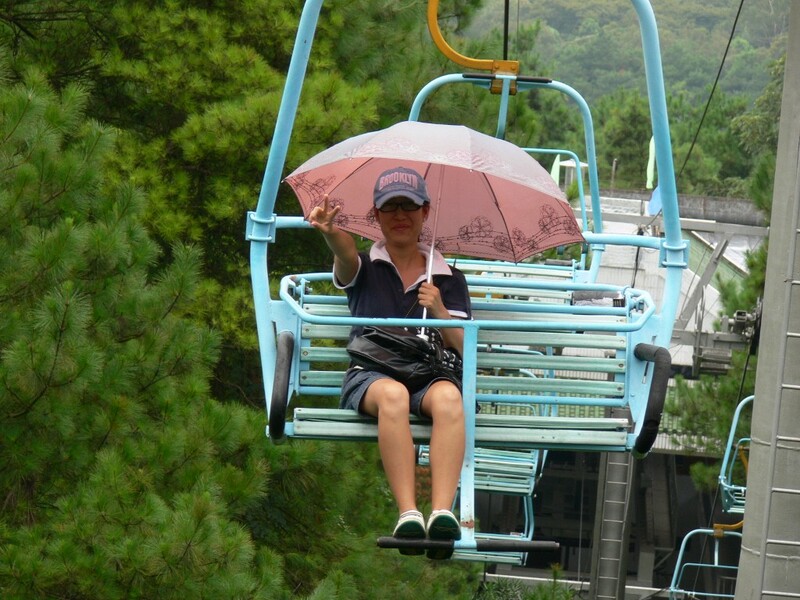 Cable cars were common in China, as were toboggan runs back down. We'd enjoyed Crown Cave so much that we also wanted to visit Reed Flute Cave. 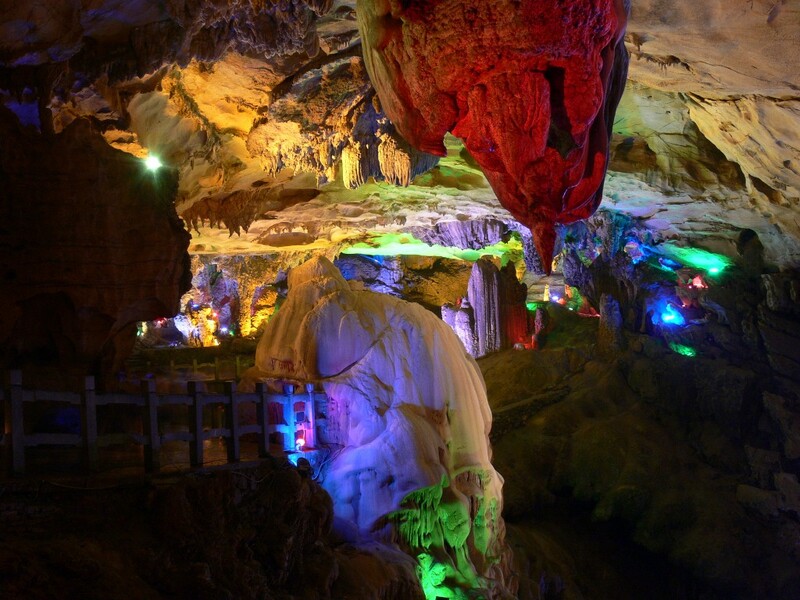 This cave is closer to Guilin, and is busier and not considered as spectacular as Crown Cave. But we really enjoyed it--the formations are so unusual, and the caverns are huge. 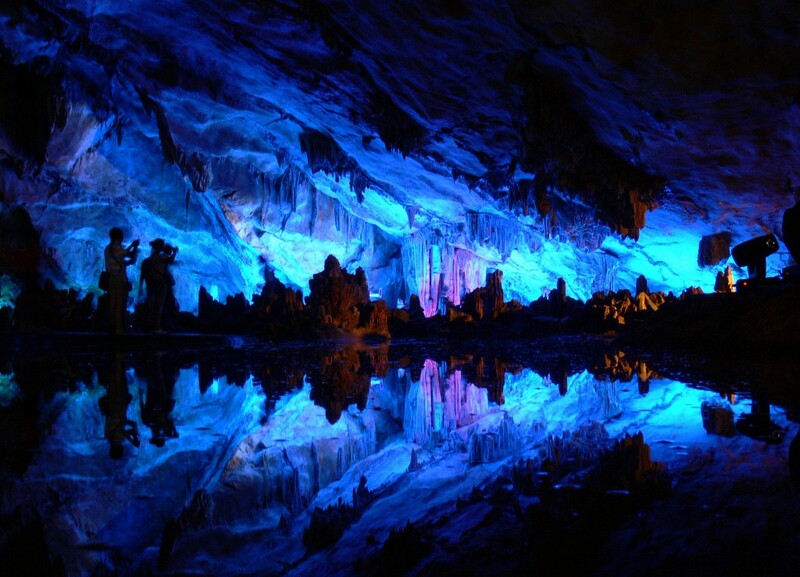 As in Crown Cave, colored lighting enhanced the display. 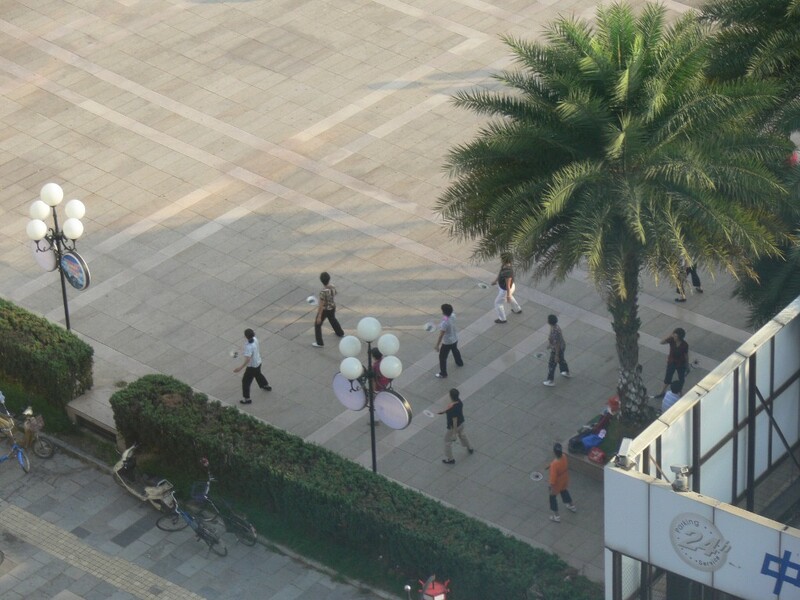 We had a few hours before the flight to wander around Guilin on our own. 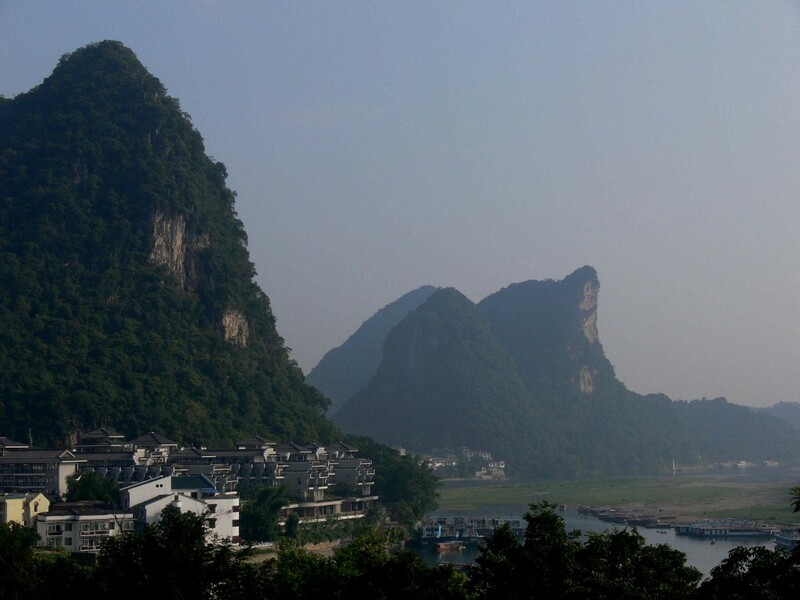 The Li River area is quite clean and free of smog, unlike some of the other cities we visited. This is because, according to Sue, no "pollution factories" are allowed there. People were very friendly and curious. Several people came up to talk with us and to practice their English.